FITS DODGE RAM 3500. Each rack and pinion system has been highly tested with high - pressure air to provide no leaking and quality performance. 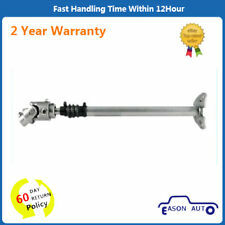 This Steering Shaft is manufactured and tested to the strictest OE standards for unparalleled performance. This is a heavy duty steel shaft with precision needle bearing U-joint for direct steering feel with no play. 2500 / 3500 / 4500 / 5500. 2009 Dodge Ram. 2008 Dodge Ram. 2007 Dodge Ram. Dodge Ram 2500 2009 Laramie, SLT, ST, SXT 5.7L V8 - Gas, 5.9L L6 - Diesel, 6.7L L6 - Diesel. 2006 Dodge Ram. Dodge Ram 2500 2008 Laramie, SLT, ST, SXT 5.9L L6 - Diesel, 6.7L L6 - Diesel. Genuine Mopar OEM Parts! Mopar warranties their parts for 24 months/unlimited miles. Warranty does NOT cover altered, modified, tampered, or abused parts. Mopar warranties are also VOID once sent international. These are fairely easy to replace. The power steering pump is located on the passenger side of the vehicle, in the front part of the wheel well, behind the bumper cover. There are videos on Youtube discribing how to replace these O rings. 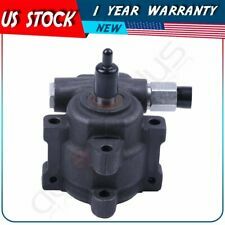 1-Power steering pump for Car Jeep Compass Patriot Dodge Caliber. JEEP PATRIOT 2.0L L4 2007-2015. JEEP PATRIOT 2.4L L4 2007-2015. JEEP COMPASS 2.0L L4 2007-2015. DODGE CALIBER 1.8L L4 2007-2009. DODGE CALIBER 2.0L L4 2007-2012. This part generally fits Dodge vehicles and includes models such as Ram 1500 with the trims of Laramie Crew Cab Pickup 4-Door, Laramie Extended Crew Cab Pickup 4-Door, Laramie Standard Cab Pickup 2-Door, SLT Crew Cab Pickup 4-Door, SLT Extended Crew Cab Pickup 4-Door, SLT Standard Cab Pickup 2-Door, Sport Crew Cab Pickup 4-Door, Sport Standard Cab Pickup 2-Door, ST Crew Cab Pickup 4-Door, ST Standard Cab Pickup 2-Door, TRX4 Crew Cab Pickup 4-Door, TRX4 Standard Cab Pickup 2-Door. 2005 Dodge Neon. 2004 Dodge Neon. 2003 Dodge Neon. 2002 Dodge Neon. 2001 Dodge Neon. 2002 Chrysler Neon. 2001 Chrysler Neon. 2005 Dodge SX 2.0. With electronic stability, manual tilt. Manufacturer Part Number : 800328. Used Steering Gear Mounting Bracket. Fits 99-09 Jeep Cherokee Dodge Ram Durango Chrysler 4.7L Intake Exhaust Valve. Get extra strength where your truck needs it the most with Rough Country's Steering Box Brace for 03-08 Dodge RAM 2500/3500 models. This durable brace adds rigid support for the sector shaft, eliminating any side-to-side play or "wander.". Rough Country's Steering Brace for the 2009-2016 Dodge RAM 2500/3500 pickup trucks is the answer to this common problem. Steering brace. 2009-2016 4WD Dodge Ram 3500. 2009-2016 4WD Dodge Ram 2500. 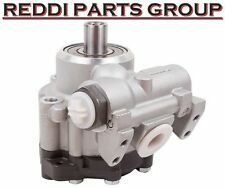 Mopar part number 52129328AB. We are a surplus wholesale dealer. All our parts are (NEW OTHER) unless otherwise specified. They may have been in storage anywhere from 1-30 years. We are Human and make mistakes, If it is our mistake we will make it right. 300 2011 -2014 5.7L, AWD, RWD. Condition is Used. Around about 200,000 miles on the whole engine. Dodge Ram 1500 2008 V8 5.7L Pickup w/o Reservoir. Dodge Ram 2500 2008-2009 V8 5.7L Pickup w/o Reservoir. Dodge Ram 2500 2008-2009 l6 5.9L Pickup w/o Reservoir. Dodge Ram 2500 2007 l6 6.7L Pickup w/Bolt on back plate and ZF Pump. Notes: Power Steering Pump. Vehicle Sub Model Body Engine Steering. Ensure Proper FitTo confirm that this part fits your vehicle, enter your vehicle's Year, Make, Model, Trim and Engine in the Compatibility Table. 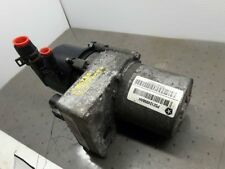 POWER STEERING PUMP WITH PULLEY 2011 DODGE AVENGER. BRAND NEW! This part fits 2011 Dodge Avenger, Dodge 200, Dodge 200 convertible. 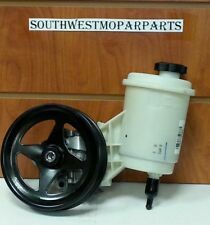 POWER STEERING PUMP WITH PULLEY. We Are Delray Dodge Chrysler Jeep. Any problem will be resolved promptly. MPN: 12893. Premium Remanufactured Alternator. Overdrive has been in the automotive parts industry for over 15 years. FIND THE RIGHT PART FOR YOUR CAR. QUICK LINKS. MIRROR ASSEMBLIES. MIRROR GLASS. OTHER PRODUCTS. Dodge Ram 2500 2007 l6 6.7L Pickup w/Bolt on back plate and ZF Pump. Dodge Ram 2500 2003 V10 8.0L Pickup w/Bolt on back plate and ZF Pump. 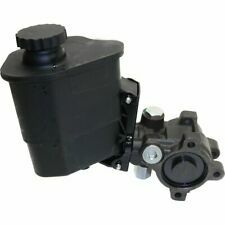 Dodge Ram 2500 2003-2007 l6 5.9L Pickup w/Bolt on back plate and ZF Pump.